It was Junior’s first night home following his freshman year at university, so I wanted to make it special–and put a little weight on him in the process (he did not gain the “Freshman 15”). This meal was a winner all around–hearty, delicious, and easy to make. Thumbs up times four! This entry was posted in Entrees and tagged Chicken Breasts, Cooking, Dinner, Entree, Food, Mozzarella Chicken Breast, Poultry, Prosciutto Chicken Breasts, Prosciutto Wrapped Mozzarella Stuffed Chicken Breasts, Recipe, Stuffed Chicken Breasts. 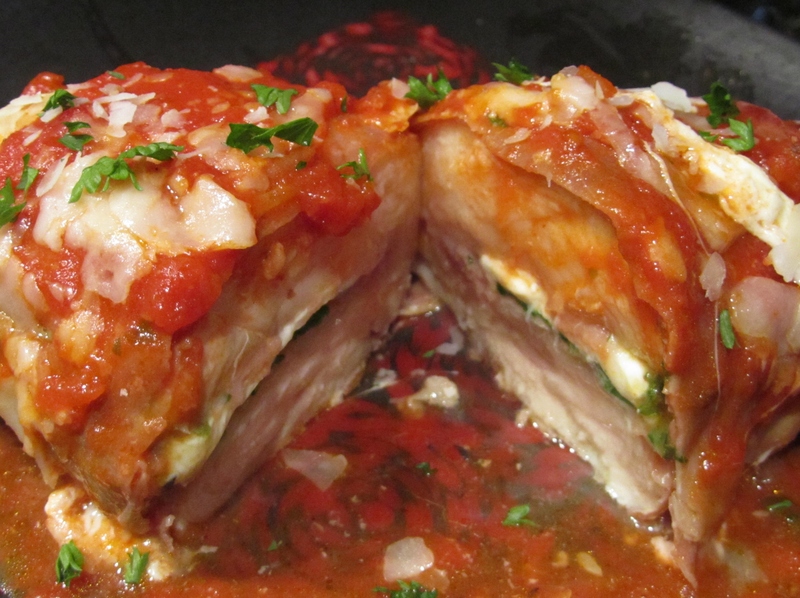 Tamara – one of my favorite meals (one I always request Kevin to make me for my birthday) is The Frugal Gourmet’s “Chicken Breast Stuffed with Smoked Mozzarella.” This sounds very similar, but a little easier to make – maybe we’ll give this recipe a go as an alternative. Thanks for sharing!